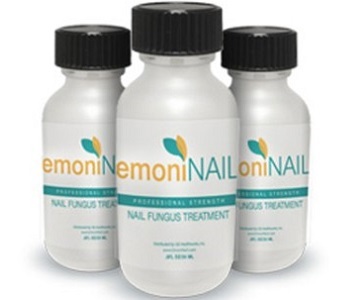 In our review today, we will disclose all the facts about EmoniNail Nail Fungus Treatment. We know that consumers want to know all the details about a product before they make a purchase, and that is our reason for doing this review. We want to see if the product can produce the results that the manufacturer has advertised. During our scrutiny, we saw that EmoniNail formulated the product to kill nail fungus at the source to allow clear nails to regrow. The product is designed to penetrate the nail and destroy the fungus. The active ingredient found in the product is Undecylenic Acid. 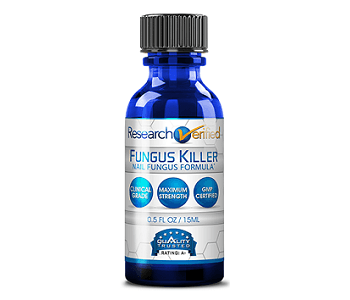 The ingredient has shown to penetrate nails and kill the fungus that lives in the nail. The ingredient can help to regrow new nails. The inactive ingredients in the product are Tea Tree Oil and Sunflower Seed Oil. Before you use any product, you need to visit a health professional to determine if the product will work for or cause you harm. You do not want to use a product that will cause you to suffer adverse effects. The manufacturer recommended that you first cut and file the affected nails. Then wash the affected areas. After the wash, you should dry the affected areas and apply the product to the entire nail. After application, allow the product to dry. You should use the product twice a day. You can buy the product from the official website. One bottle costs $59.95. You will have to incur further costs for the shipping as it is not included. The manufacturer has not offered a discount on the product. The manufacturer has offered a money-back guarantee for the product. Consumers who are dissatisfied with the results can return the product within 60-days of purchase. If you wish to claim a refund, you will have to pay for the shipping costs to get the product to the manufacturer. When we checked the customer feedback to determine if the product works, we saw several customers complaining about the product’s inability to produce results. Since we have extensively scrutinized the product, we are in a position to conclude on all the matters regarding it. We discerned that the manufacturer made the product to kill nail fungus at the source to allow clear nails to regrow. The product is designed to penetrate the nail and destroy the fungus. As our scrutiny evolved, we stumbled upon several flaws in the product. The manufacturer has made shipping costs an additional expense. Also, the manufacturer has not offered a discount on the product. The manufacturer has offered a guarantee, although consumers have to pay for the shipping costs to get the product to the manufacturer if they wish to claim a refund. When we checked the customer feedback, we discovered numerous customers who stated that the product does not work. It did not help them to get rid of the nail fungus.